Master Box Dimension : 18" X 18" X 18"
20 Piece food pretend playset. 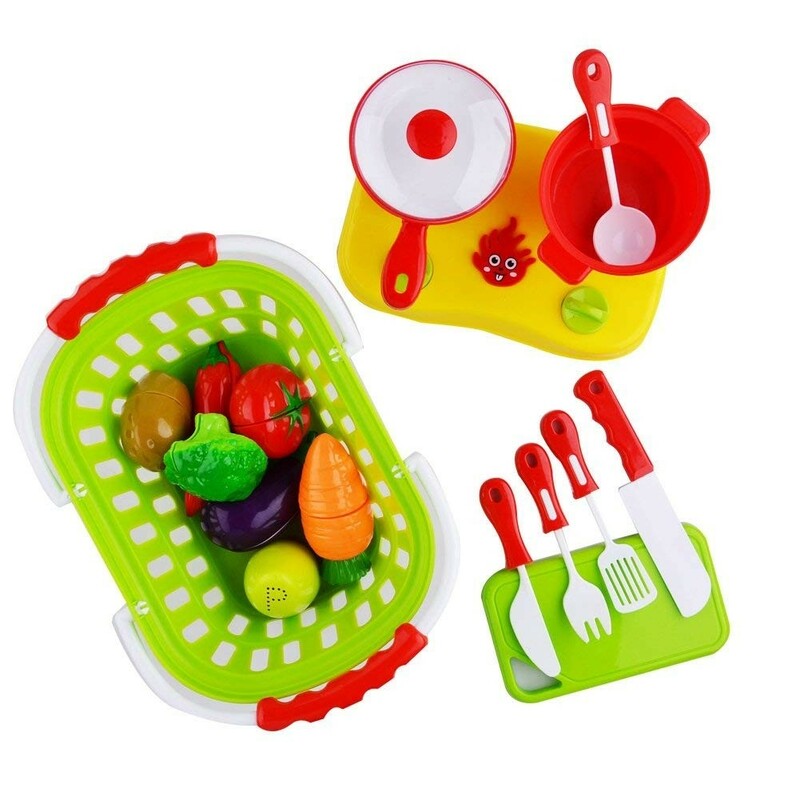 Set comes with fruits and vegetables that your child can pretend to cut and cook. Everything you need to cut and cook your groceries is included, pretend knives, pots and pan, stovetop, and a basket to carry all your things.